Promotional video for a University of Otago paper. As part of the Media Production unit of the University of Otago, I was responsible for producing short videos for the Academic Divisions. In this instance, the Chinese Language department wanted to promote their translation paper in a fun way. I worked with the Head of Department and marketing division to write a script that was light-hearted. Crohn's and Colitis NZ Charitable Trust commissioned a video Camp Purple Live 2018. Over six days kiwi children and teens with Crohn’s and colitis have the opportunity to surrounded by those who understand the challenges of living with these diseases and make new friends. The camp is made possible only through the hard work of countless dedicated volunteers and through the generosity of sponsors which allow campers to attend for free. 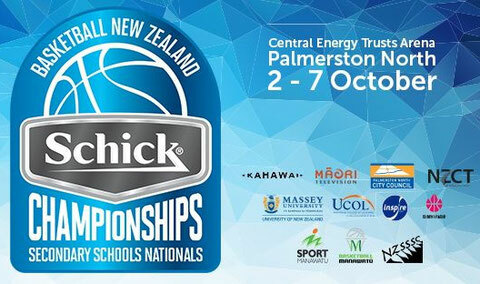 Kahawai Productions contracted me to produce social media content of the 2017 and 2018 Basketball New Zealand Secondary School National Championships. The brief was to gather pre and post-game content for Facebook to supplement the games streaming live on Maori TV. We partnered up with Basketball NZ and Maori TV to maximise exposure by crossposting videos. Kahawai Productions had been following Mike Noonan for over three years as he built a motorcycle in his garage with the aim of breaking a land speed record at the Bonneville Salt Flats in Utah. This project was completely self-funded and when the time came to fly one person to film the record-breaking moment the costs were too high. I presented Kahawai with a crowdfunding plan that would cover those costs and help finish the film. The crowdfunding campaign was a success due to the generous and passionate community following brought on by the protagonist, Mike Noonan. We raised over 200% of the budget required to fly me to Utah to capture Mike setting a new land speed record of 124.114 mph. It seems every year more and more companies are getting on the April Fool’s bandwagon. Jason Leong, a co-founder of PocketSmith, wanted to join in on the fun and he approached me with the idea for a fun video promoting a “new” feature of their personal finance app. The Report Retriever stars Lou, the Golden Retriever, running through iconic Dunedin scenes to deliver a client their Report. 10 x 30 min. HD kids series. 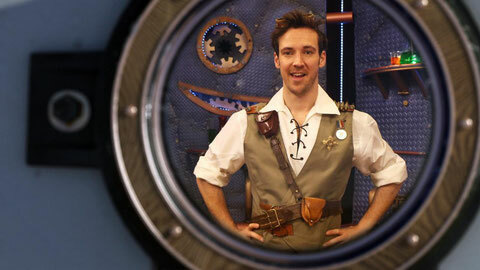 NHNZ Ltd. was commissioned to produce a top ten countdown animal show for kids and deliver it within 3 months. I was tasked to help create the steampunk world our adventurer host lived in by working with a group of talented artists. I also contacted local Dunedin steampunkers who were generous in sharing their expertise and a few props. I also managed our post-production schedule. Not an easy task considering that our first deadline for delivery was just before Christmas. I had to schedule CGI artists and editors in a careful ballet so that each episode’s parts arrived when they needed them. When Graphics Artist Paul Jones asked if I wanted to film a short video about Electric Vehicles I didn’t realise we would be turning it into a fledgling web series. I knew very little about EVs and discovered that I wasn’t the only one. Most people are confused and misinformed about how EVs really work. So we set out to dispel the myths and show how everyday Kiwis are taking up EVs to get to work and get work done. Charged as is a short form web series in its early stages. When ANZ announced that they would no longer offer their customers a budgeting app, PocketSmith saw an opportunity. Jason Leong, co-founder of PocketSmith, asked me to come up with a fun video that would convince ANZ users to switch to PocketSmith for all their money management needs. I called up Lou, the Golden Retriever, and got him to show viewers how easy it was to switch his budgeting from ANZ’s Money manager to PocketSmith. If Lou can, anyone can! I was brought on board to help develop, direct, and post-produce this fun series for Maori TV. Filmed at some of Dunedin iconic locations: The Octagon, The Chinese Gardens, Port Otago, The Gas Works, Taieri Airfield, The Dunedin Railway Station, Vogel Street. WFL takes five of the best forklift operators from around the country to compete in a head to head elimination competition. In the end there can only be one World Forklift League Champion. A ground breaking film about the 57th World Ploughing Championships. Competitors from 30 nations will literally turn the earth upside down in hopes of winning the Golden Plough. I happened upon this story while driving up through Rakaia and I knew I had to document it. Microscopy Otago is the hidden research gem of Dunedin. This state of the art research centre is located in the basement of the Anatomy building. It is one of a handful of centres in Australasia able to offer a full range of microscopy and confocal microscopy services. Its expertise covers all materials, biomaterial and bioscience applications. They wanted a short video to promote what the centre had to offer clients outside the University.